Toddlers and babies are diverse and unique in personality and background. Still, all babies share a great deal in common in terms of physiological needs and demands such as nutrition, protection, and proper clothing. Especially for children under the age of five, hats are an essential feature for the safety and comfort which they provide. Like any product for the young, there are a number of questions and concerns from shoppers seeking to stay informed. We have tracked down the most common questions asked by parents when shopping for the perfect baby and toddler beanies. 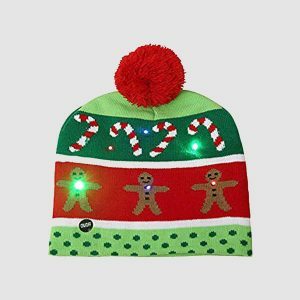 These answers provide easy solutions to quell any parent’s concerns and make shopping for beanie fun and easy. 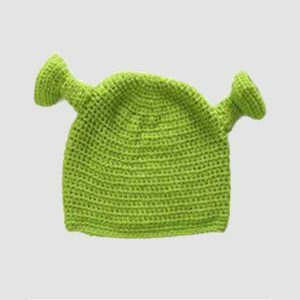 What do you call a baby hat? How often babies need to wear baby hats? When a baby can stop wearing those hats? Should your newborn wear winter hats? Why does my newborn baby need a hat? How to keep a hat on a baby that hates putting on a hat? Should my baby sleep with a hat? Will hats change the shape of my baby’s head? Do baby hats pose a choking hazard? Can babies wear beanies in the summer? Do beanies make babies’ headshot? How to Dress Your Baby for Winter? Are babies’ and toddlers’ beanies washable? Do beanies shrink in the washing/drying process? How fast do kids outgrow their beanies? 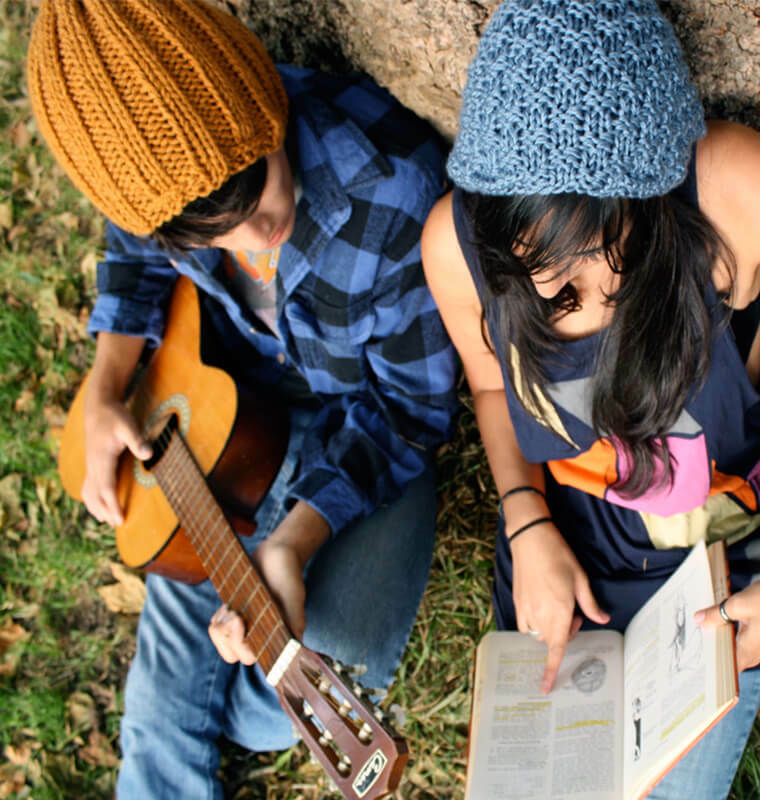 Beanies have dozens of names and colloquialisms across the world. When it comes to hats for newborns and toddlers, every country and language has a different reference to this headwear. In Russia, these are called Ushankas. In Canada, kids headwear is referred to as toques. In Norway, nicknames include the ‘bruque’. In warmer weather countries like Australia, these head toppers can go by the name ‘kadi’. There are also more general terms such as baby’s bonnets and knit caps. Babies need to wear hats whenever exposure is a concern. The need for infant and toddler hats is directly proportionate to the risk for exposure. Even as hair grows, children under five have finer hair that serves less efficiently to protect from wind, debris, and germs. Babies have sensitive skin and are particularly susceptible to ear infections. Beanies should be worn whenever the wind is concerned, and a model that covers the ears is necessary. Once an immune system has been developed and some hair has grown. Once babies have reached an appropriate age, typically marked by their vaccinations having been completed, hats have become less of a necessity and more of an accessory. According to Kids Health, it should be around the age of six months, when babies are stable enough of the immune system to receive these doses. Of course, even after kids reach these milestones, beanies continue to be needed when outside or exposed to the cold. The newborn head should always be protected from cold weather. According to Pub Med, newborns lose a great deal of body through the head due to the high skin surface area. Adding insulation, through the use of hats for newborns, is scientifically proven to reduce that loss of heat. For both mood and overall health, the use of a proper, fitting beanie to adequately cover the skin as a protective feature against the elements, is critical for the health of the infant. Babies, though unable to speak, are able to communicate through noises and expressions. Naturally, different fabrics and fits will suit different infants, though warmth is always a top concern. Protection from debris, warmth, and comfort. Newborns are the most beautiful, innocent, and vulnerable of the global population. They rely entirely on the support of caretakers, who use every possible tactic to ensure health and safety of these infants. The need to heavily scrutinize products used for children is readily apparent with any product recall list. These can be a handy reference to discover products that have faults and cross-reference any purchases. Many places like this Recalls make keeping track of these recalls simple. Hats have always been a staple clothing requirement due to the protection they offer against everything from pathogens and dust. With the increase in diversity of style and material, this basic care feature for infants has never been more affordable and easier to obtain. Wearing a hat has forever been a necessity for newborns for two simple reasons. Firstly, it serves as a barrier from the debris and germs that fill the infant’s surroundings, preventing infections and rashes. Secondly, hats allow for thermal regulation as protection from both the rays of the sun and the cold air of winter. 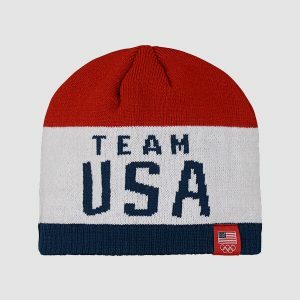 A stretchy, breathable beanie provides a quality fit. Though the hands of newborns are small, they are still large enough to cause hat wearing trouble. From scratching to pulling, a beanie that is not comfortable will cause disruption. Babies have sensitive skin and require a high-quality material that will not irritate the skin. Natural products that have been thoroughly cleaned with a detergent designed for sensitive skin are the most amenable to picky infants. Newborn babies benefit from the added heat and comfort of a hat during sleep. Hats are a safe option, and the airflow that quality hats provide mitigates it as a choking risk. All parents know that a large concern with sleeping children is the risk of suffocation. Because of this, amounts of blankets are drastically reduced in sleeping situations to reduce that risk. This reduces the heat that is offered to the infant during the evening hours. To supplement this differential, beanies have long been a widely popular sleeping item. The minimum fabric used is too small to be of suffocation concern. The breathability alleviates choking worry, and products designed specifically for the newborn are an ideal to keep naps comfortable. As long as they are made of quality material and of the correct size, yes baby hats are safe. Hats not only are safe to wear, but they also add safety value by protecting the infant’s epidermis from the elements. 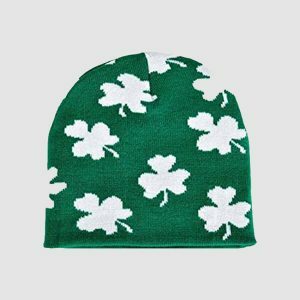 To provide peace of mind, a simple lightweight beanie that can be worn underneath the more festive, woolen styles. Often, knit beanies are given as gifts from friends and loved ones. An important thing to remember is that, regardless of the source of the infant’s headwear, a thorough wash with a detergent suitable for sensitive skin is necessary. 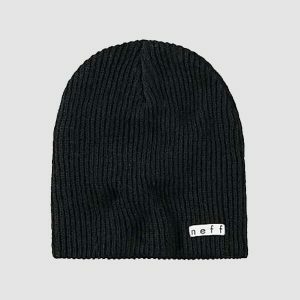 When proper precautions from potential cross-contamination are taken, and things like fabric sensitivities have been considered, beanies become a stylish, fun addition to the wardrobe. 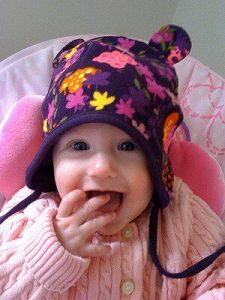 The plethora of beanie styles, especially those designed for newborn girls, makes headwear fun. Quality options made by hand like the ones found here are the ideal hat companion for the well cared for a newborn. Handmaking of products generally speaks to the quality and provides reassurances that no factory-borne chemicals will have touched the infant’s hat. No. Hats won’t change the shape of a baby’s head, though the skull adjusts naturally with time. Many have a soft spot for babies. Infants too have a soft spot. According to the University of Michigan’s School of Medicine, the baby’s skull consists of five, relatively soft pieces called sutures. These are designed to shift in order to account for growth as within the first six months of life it can be expected for the area inside of a newborn’s skull to double. The meeting spot of these sutures is referred to as a ‘soft spot’. This is a confusing area for many new parents due to the fleshy exposure on the top of the infant’s skull. Though it may appear soft, the skull is well designed to accommodate the growth of a healthy, developing child. As added reassurance, according to the American Academy of Pediatrics, there are a number of common pitfalls, but wearing hats is still on the safe list. Given the shifting nature of the skull, it is best to be aware, though risk has not been associated with wearing of hats in terms of impact on future head shape. No. So long as the fabric is breathable and no baubles or buttons are attached, this is a safe item. Many steps can be taken to avoid choking hazards. Firstly, items need to be over a certain size to be near the curiosity of infants. Even the lightest of newborn hats are over the choking threshold in sheer size. To ensure that there are no surprises, keeping to plain designs free of tassels or baubles will add an extra layer of security both to the infant and the worried parent. Extra warmth can be provided through winter hats for newborns that feature ear flaps. These work to prevent the unpleasantness and general risk of ear infections caused by exposure to the cold. According to Harvard Medical School, ear infections are prevalent issues with multiple causes. To assist in protecting the newborn from these risks, ear flaps add an extra few inches of coverage to the head and neck. Breathability is crucial for proper hair and skin health and to prevent heat-related illnesses. Humidity can cause a plethora of skin issues to which infants are far from immune. Everything from cradle cap to dermatitis can benefit from the use of a hat as a prophylactic measure. Infants are particularly susceptible to a number of issues due to their not-yet-developed immune systems. By using a quality fabric that breathes, is naturally sourced, and has a light design, parents can ensure the child’s comfort and skin health. Airflow is important for a number of reasons, from comfort to skin health; and, for infants, in particular, breathability is one of the key factors in choosing the right beanie. The high surface area of skin on the infant’s head makes it especially sensitive to issues like chafing and potential problems like rashes or skin infections. By preventing dampness and scratching, breathable material provides comfortable wear for the young. Babies should always have their heads protected from the sun. With a high-quality beanie made of breathable material, there is no concern for problems associated with excess heat. Instead, the focus becomes sun specific safety. The risk of UV rays has long been known; but, according to Pub Med, science has recently proven that effective protection from infancy impacts skin health in later life. In order to provide adequate protection, babies ought to be outfitted with summer appropriate beanies during the warm months. Naturally, children should be afforded frequent breaks from the sun, even when outfitted properly with a hat and sunscreen. Yes, they can. To prevent this the beanie needs quality fabric and design. With the sensitivity of children, the line between proper protection and risks of heat exhaustion is a thin one. According to Baby Center, dressing in lightweight clothing and providing shade is an essential preventative measure against heat exhaustion and stroke. Babies and toddlers are active creatures, a trait that adds to the potential to overheat. Risk of heat exhaustion is higher for younger children, due both to the inability to effectively communicate and the sensitivity of the body. To stay unencumbered from the risk of heat issues, an airy style, coupled with natural material, is ideal. Light, breathable layers to make a warm outfit. Always ensure a hat and socks are worn. Preparing to brave the icy outdoors can be an overwhelming feat with a newborn. A few simple steps can make this process simple and enjoyable. Light layers start with clothes worn beneath winter gear. Dress the infant normally, then add an additional light layer in the form of a soft sweater. Depending on the climate and time of year, fabrics differ from light cotton to bulkier fleece materials. The ideal situation is to dress the infant in three layers beneath the outer clothing. Starting with a onesie, adding a shirt and pants, and topping this with a sweater leaves sufficient room between layers to prevent chafing through the promotion of airflow. Once the newborn has been adorned in their winter attire, that should include gloves, proper footwear, a wind-resistant jacket, and windproof coverage of the legs, a necessary feature is a hat. The standard, indoor beanie makes a good base for beneath any winter hat and can work to prevent skin sensitivities and irritations. As a great deal of body heat can leave through the head, use of two layers of headwear prevents this worry and keeps the infant cozy and warm through the dual use of hats for newborns. All beanies can be cleaned and most are machine washable. 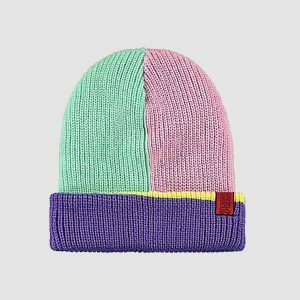 Methods of maintenance vary depending on the fabric and style of the beanie, though all varieties are able to be cleaned. The convenience offered by machine washing cuts maintenance time and adds to the desirability of the infant beanie. Fabrics like acrylic and polyester are the most amenable to being machine washed and dried, being less inclined to shrink. Natural materials like cotton and bamboos are able to be machine washed, though benefit from air drying. Other materials like satins, silks, and cashmere are best to hand wash and hang dry. Depending on the budget of time, there are suitable options for all fabric categories. Typically, for an item as small as a beanie, handwashing time will not exceed a couple of minutes. The drying time is generally where the wait is found, with some fabrics taking several hours to become dry enough to use. 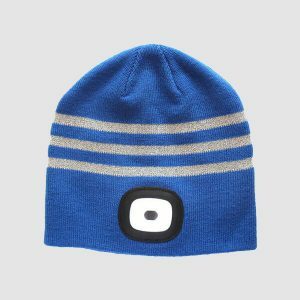 Due to the sensitivity of the skin of an infant’s scalp, beanies that have the added gentleness provided by sensitive skin oriented fabric softener are a favorite. Of those beanies that are machine washable, those made of a sturdy yet gentle fabric are desirable for those looking to extend shelf life. Some, but not all, beanies are made of hypoallergenic materials. Whenever a household has a member with fabric-specific allergies, it is always important to check the material’s composition. Natural materials, such as cotton and bamboo, are generally the most amenable to easily irritated skin. The higher the thread count on the beanie, the softer the wear will be. Especially with beanies for babies and toddlers, all hats should first be washed with a detergent designed for sensitive skin. 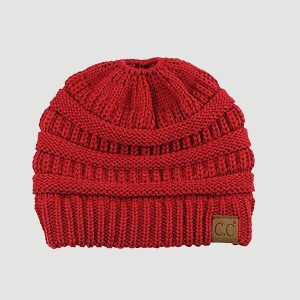 Several beanies are hypoallergenic such as the one found here When pursuing material free of allergens, silk, cotton, and flax based linen are solid options to reduce the risk of irritation. 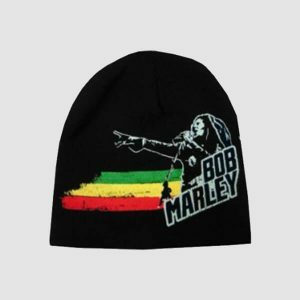 Certain beanies, especially wool and cotton, shrink in the drying process. Beanies that are made of natural fabrics are the most susceptible to shrinking during the drying process. Products typically note whether an infant’s hat can be machine dried. Given the frequent need to clean infant products, machine washing is the popular go-to for maintenance. 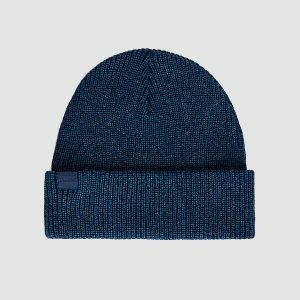 To find a beanie that doesn’t shrink and can survive in a drier, materials blended with polyester or rayon are ideal given that most natural fibers like silk and cotton are susceptible to drier caused shrinkage. Stretchy fabric keeps beanies usable throughout the growth phase. Beanies for infants and toddlers are typically stretchy enough to last throughout an entire stage in the child’s life. 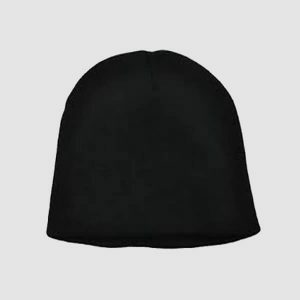 Children’s heads grow frequently, but with accommodating materials, a beanie should be able to last from the newborn stage until roughly six months. 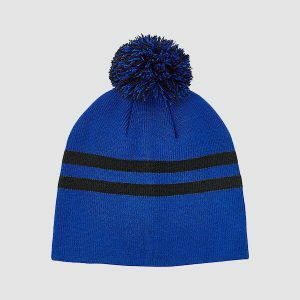 Outdoor focussed beanies can last years as they are generally bulkier and designed to fit a variety of sizes. 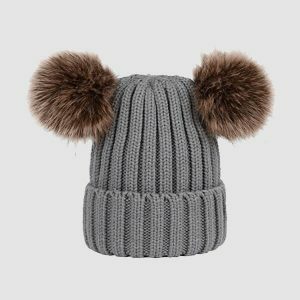 Beanies are widely used items amongst infants and babies, and because of this, there are a number of options in terms of colors and patterns. The early months hold the child’s first introduction to their sensory perception, so through the use of soft fabrics, fun patterns, and bright colors, these necessary pieces of clothing can work to foster development and infant learning. The years of infancy and toddlerhood are a beautiful time for parents and children alike. It is also a time filled with many decisions regarding the health and welfare of these young creatures. 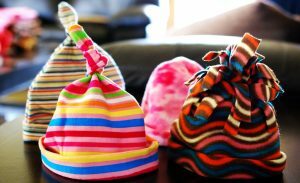 Safety conscious choices regarding something as critical as headwear has never been as easy as with these answers to the most frequently asked questions about children’s beanies. Careful and conscientious shopping has never been easier for passionate parents seeking out beanies for their beloved infants and toddlers.